Commercially available Land Rover Defender 110 has been Discrete Armoured with B6 Protection Level. The design will not alter the outlook of vehicle but ballistically shield the driver and passenger compartment together. 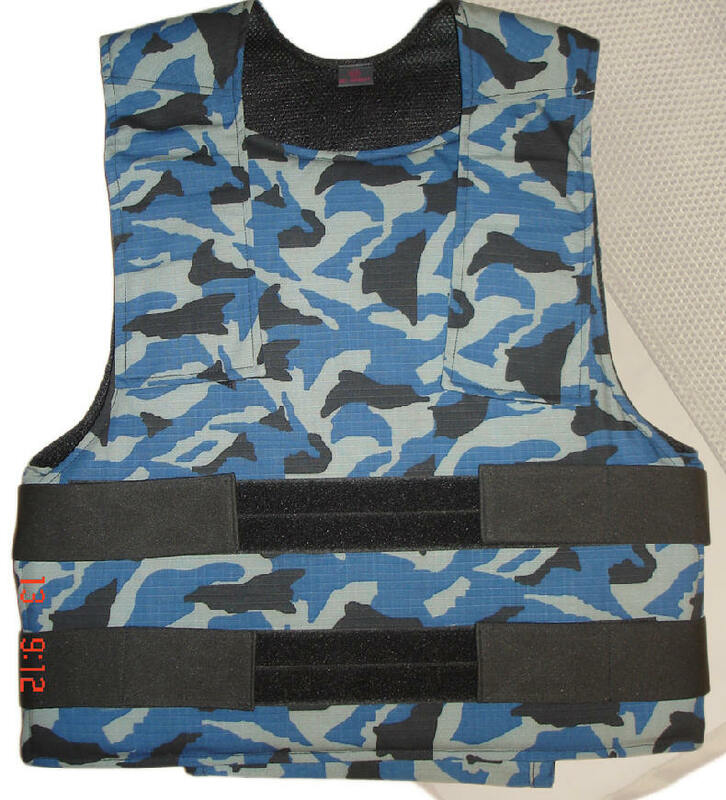 The protection has been designed and fabricated by using the best quality martials with CEN B6 level. 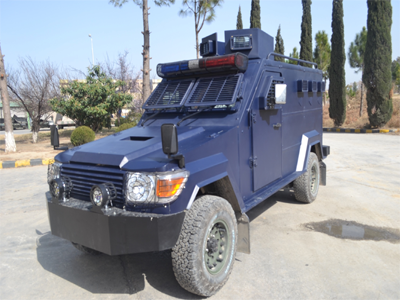 Armoured Security Vehicle designed and manufactured at APC Factory has been based on the chassis of Commercial vehicle (Land Rover Defender). It is in service since 2006. It has a welded Ballistic Armour Steel hull with ricochet angles all round. The hull is protected against 7.62 mm NATO Ball at point blank range. The vehicle has a rotating turret at the top, thus facilitating all round control by the commander. The vehicle has bullet proof glasses for wind screen, door windows, view ports, moreover run flat tyres have been instl. Seating capacity is 8 persons with 7 x firing ports in crew cabin and one in turret . Armoured Security Veh Protector is the latest veh of Mohafiz series designed and manufactured on the Chassis of Toyota Land Cruiser LC-79 having upgraded suspension system to handle extra weight and ensure better maneuverability in all types of terrain. Vehicle providing B-7 level protection against 7.62 x 51 mm Steel Core Bullet at 10 meter range. Bullet Proof Glass fitted in the vehicle provides B-7 level protection against 7.62 x 51 mm Steel Core Bullet at 10 meter range. Run flat tyres fitted in the vehicle enables it to cover 50 KMs even with a bullet hit deflated tyres, at varying speeds. Bomb blanket also installed in the vehicle. The vehicle has seating capacity of eight persons including Commander and Driver. Vehicle is also fitted with turret having B-7 lvl protection. Max speed of the veh is 150 Km / hr. 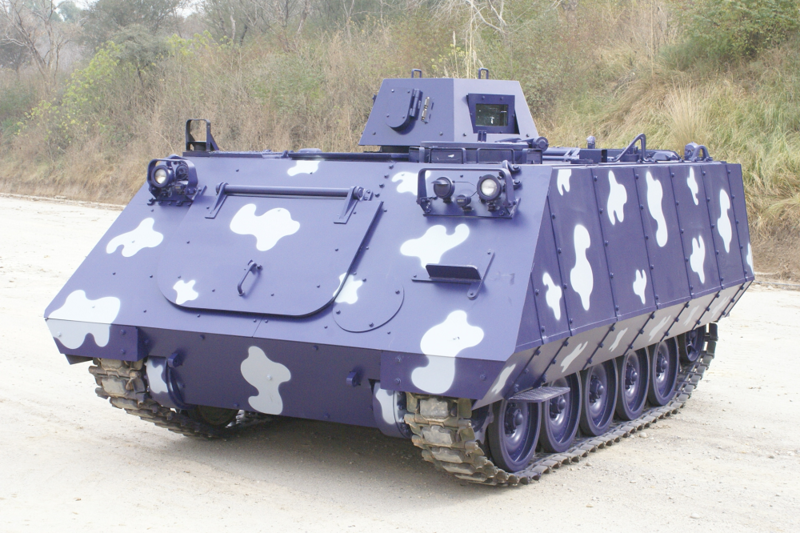 Armoured Security Vehicle Protector, design & manufactured at HIT is based on the chassis of commercial vehicle using light weight composite armour. The hull is protected against 7.62 x 51 mm steel core bullet at 10 meter range. 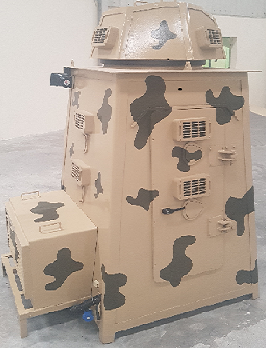 Square and Rectangular shaped Armoured Guard Post for single and double men respective with and without turret has been manufactured by APCF. B6 level protected AGPs are effective against 9mm, 38 Bore, 7.62mm NATO BALL whereas B7 lvl protected AGPs have protection against 7.62 mm AP round from 10 meter distance. 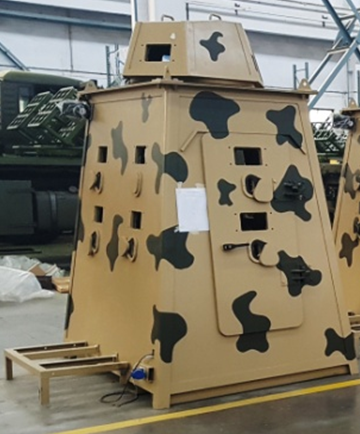 Rotating firing ports and specially designed tapered pentagonal shaped cabin protects the guards so that they can fire from inside even at the closest distance. Bullet proof viewing glasses and firing ports have been provided all around so that the guards can fire in both sitting and standing position. Single man AGP fitted with one foldable seat whereas double men AGP is fitted with two foldable seats. The post is provided with reversible air-condition which can even operate from -30°C to 50°C. It can be lifted to any place easily. It is ideally suited for use at Government buildings like airports, defence installations banks, communications centres, embassies, diplomatic enclosures, private bungalows etc. Due to modular in nature it can be suitably placed on top of a roof. 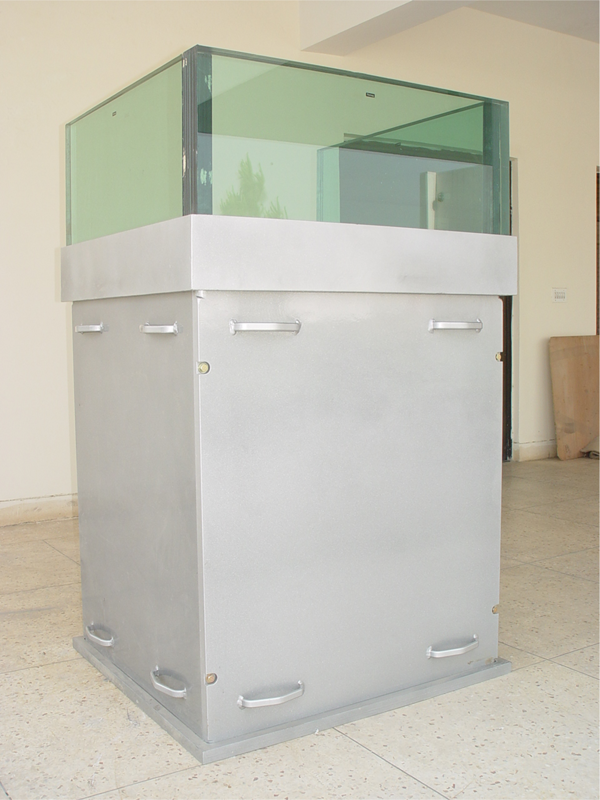 HIT can also manufacture custom designed Guard Posts. 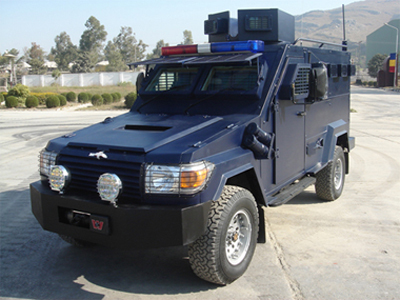 APC TALHA LEA (Law Enforcement Agencies) has been designed and manufactured by Heavy Industries Taxila (HIT) especially for use by LEAs. This belongs to APC M113 (FOV) which is most widely used combat vehicles in the world. It is an all terrain, amphibious anti riot / anti insurgency vehicle having optional 12.7 mm machine gun as its main armament. Adequate crew compartment space provides excellent crew comfort Firing capability has been enhanced by providing 3 x firing / view ports on each side along with bullet proof glass for better operational area reconnaissance as well as combating the miscreants with effective fire power. 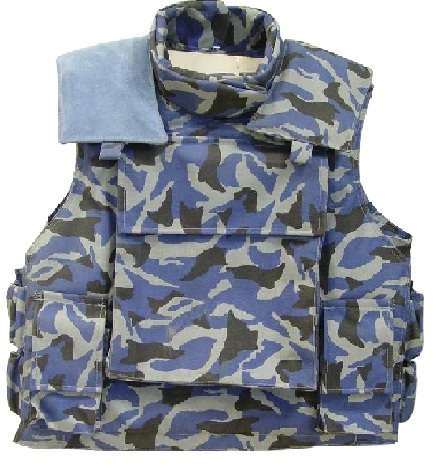 An add on armour may also be instl on demand, providing protection against 12.7 mm API from 30 meters thus further strengthening the protection level of the vehicle. 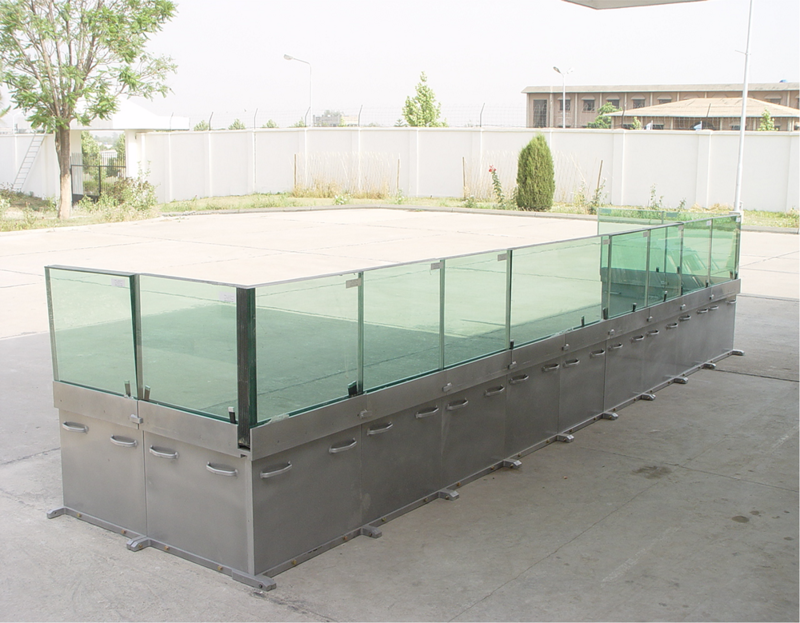 Similarly protection of glass can be enhanced to B7 or 12.7 mm API as per requirement. Bullet proof rostrum has been manufactured at APC Factory and different improved models have been evolved on users feedback. It provides protection to the speakers from 9 mm, 38 Bore, 7.62 mm NATO Ball and AP round at any distance. It has bullet proof glasses at the front as well as on the sides which are protected against three shots. The rostrum has been designed in such a way that it can carry easily in modular form and can be installed, dis-assembled and reinstalled when required. It is also fitted with table lamp, a place for keeping documents and a glass holder. 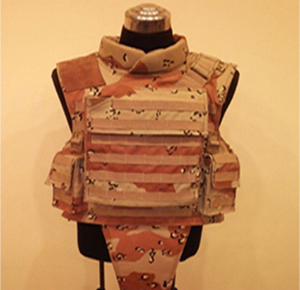 Bullet proof screen has been designed and manufactured at APC Factory. It provides protection to the dignitaries / speakers from 9 mm, 38 Bore, 7.62 mm NATO Ball as well as AP round from any distance. It has bullet proof glasses at the front as well as on the sides which are protected against three shots. The screen has been developed in such a way that it can be used for as many persons required to be seated on stage / dice. It can easily carry in modular form and can be installed / dis-assembled and reinstalled again. weave, colour fastened, shrink proof, floatable.